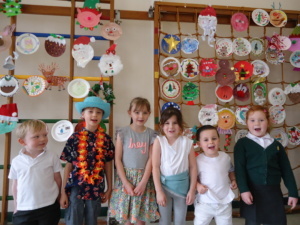 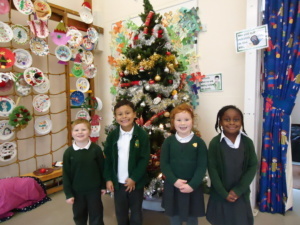 The trees have been decorated and the Christmas plates have been judged. 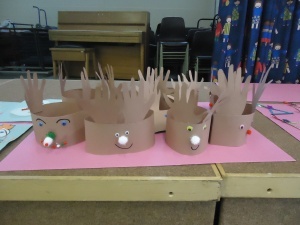 In lower school, the elf has started his hide-and-seek and the craft afternoons have taken place . 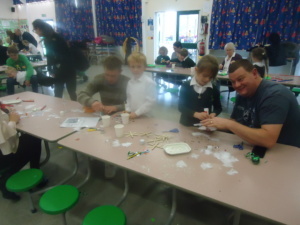 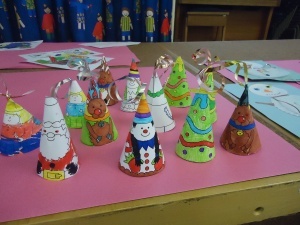 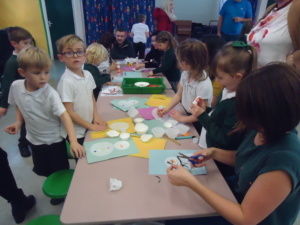 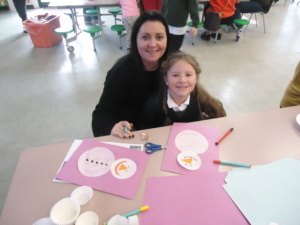 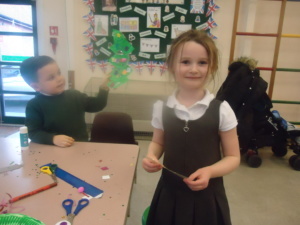 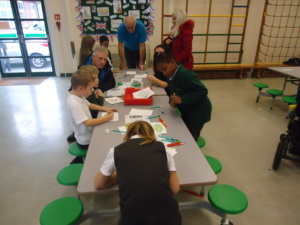 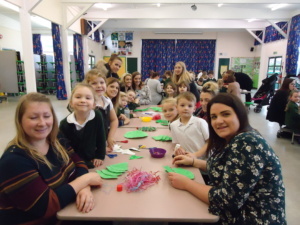 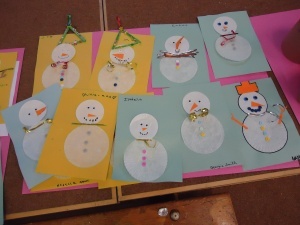 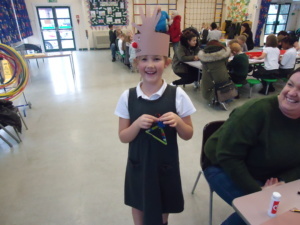 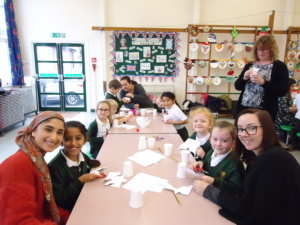 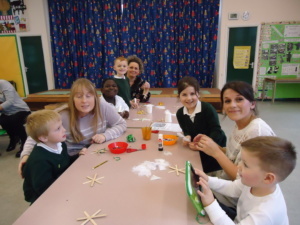 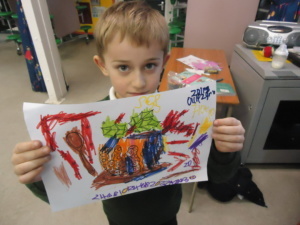 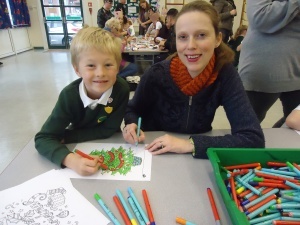 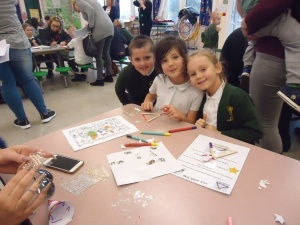 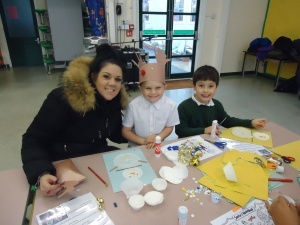 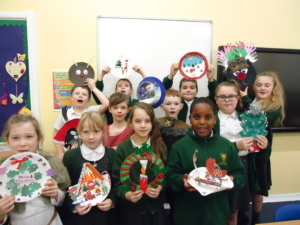 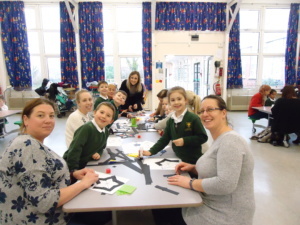 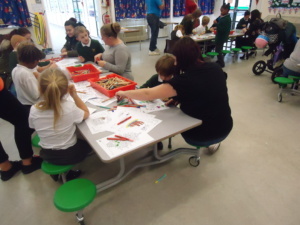 . .
Parents & guardians came in to help their children make Christmas decorations which will be used to decorate the corridors.